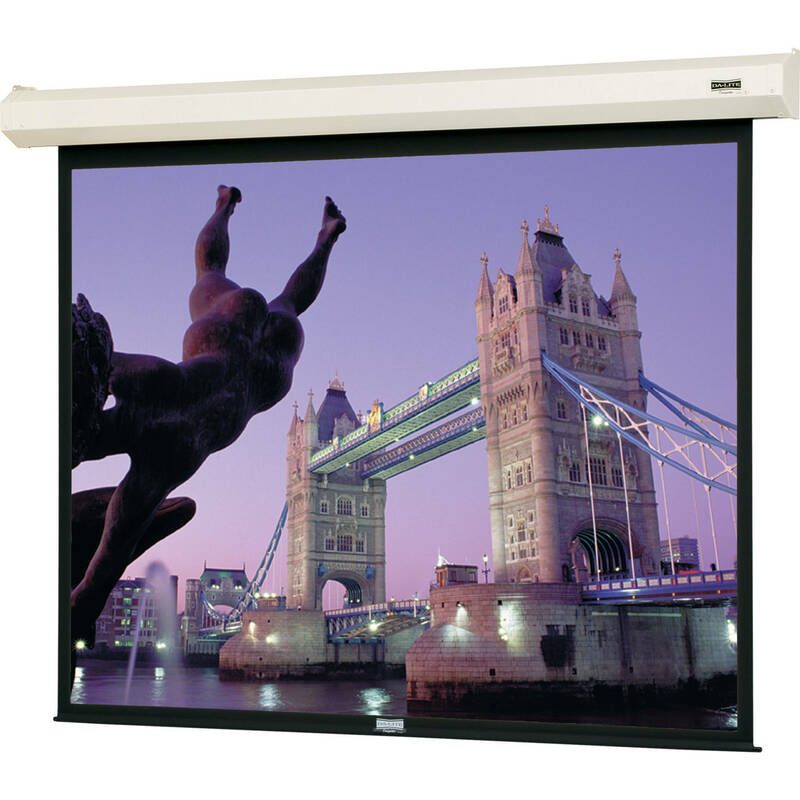 The Dalite 50 x 67" Cosmopolitan Electrol Motorized Projection Projection Screen is a rugged and reliable screen for office and educational use. This screen is a viable option when your venue does not permit or require a recessed screen. The switch permits the screen to be stopped at pre-set limits but is adjustable. Box Dimensions (LxWxH) 91.0 x 9.0 x 6.0"